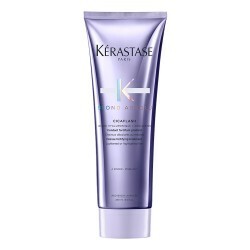 Brightening shampoo that improves and eliminates unwanted yellow tones in blonde hair. Get rid of unwanted yellow tones on your blonde hair. 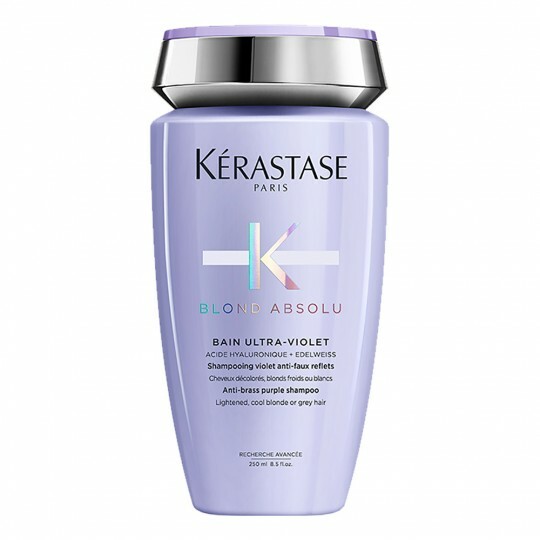 Bain Ultra-Violet shampoo thoroughly takes care of blonde hair by moisturising and providing them with natural shine. Besides, thanks to ultraviolet filters in its formula, it eliminates yellowish tones. 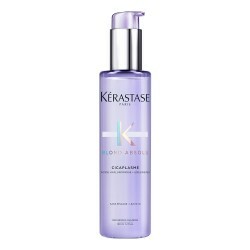 This one is also an ideal shampoo for white or grey hair, since it achieves deep cleansing and intense natural brightness. Hair is light and with movement. It gets rid of unwanted yellow and orange tones. How to apply Bain Ultra-Violet? 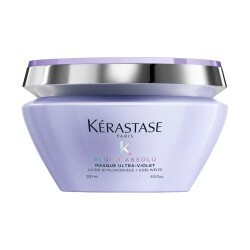 Apply over wet hair from roots to ends, emulsify, give your hair a gentle massage with the tip of your fingers and rinse. Repeat the operation and leave 3 minutes of exposure. Rinse thoroughly with warm water. 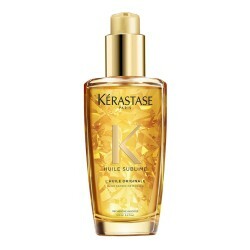 Hyaluronic acid: it provides the hair with moisture and elasticity. Edelweiss: also known as snow flower, it is a powerful antioxidant which smoothens and calms the fibre. Ultraviolet neutralisers: blue and violet pigments are the agents that instantly neutralise yellow and orange tones, revealing beautiful shine. Lamia Azzouzzi, stylist in Javier Equip S.L. 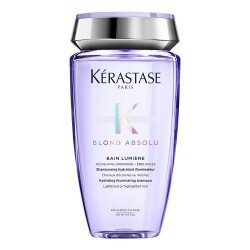 The Kérastase line Blond Absolu is the ultimate treatment for those who want to achieve the ideal blonde. 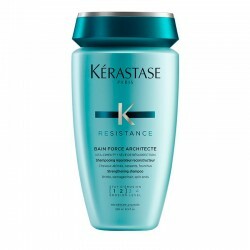 This range includes some products which are perfect for neutralising yelowish tones and some others that have been designed with the purpose of providing the hair with intense shine, besides repairing possible injuries due to bleaching procedures and giving back genuine smoothness and elasticity. Brighteningo that improves and eliminates unwanted yellow tones in blonde hair. 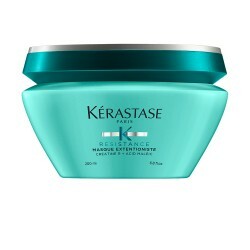 Mask that perfects blonde tones. 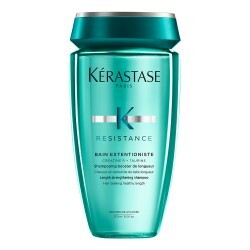 Thermal-protector milk for blonde hair. Es fabuloso. Es el mejor de todos los que he usado. Producto de 10. He probado muchos champús para cabellos decolorados y nunca me han dejado el pelo con este brillo espectacular y el matiz es precioso. Completamente recomendable. Aún sólo lo he utilizado en 2 ocasiones, pero noto el pelo muy suave e hidratado. Creo que me va a gustar esta gama, y si además protege el color, mejor que mejor. Pues ha sido una decepción! Es genial ! Deja el cabello suelto y brillante . Perfecto para el cabello con mechas. Un resultado fantástico para acabar con el tono amarillento y mantener el rubio frio hasta el siguiente color en Salón. Me ha encantado! Muy buen producto ! 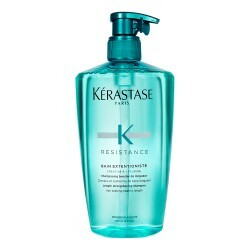 Recomendable totalmente para pelo rubio o mechas .